Dr. Todd C. Peppers and Margaret A. Anderson have released a new book, "A Courageous Fool: Marie Deans and Her Struggle Against the Death Penalty." 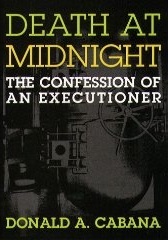 Marie Deans, a South Carolina native who yearned to be a fiction writer, was thrust by a combination of circumstances―including the murder of her beloved mother-in-law―into a world much stranger than fiction, a world in which minorities and the poor were selected to be sacrificed to what Supreme Court Justice Harry Blackmun called the "machinery of death." During Marie's time as a death penalty opponent in South Carolina and Virginia, she experienced the highs of helping exonerate the innocent and the lows of observing the executions of thirty-four condemned men. (From publisher's description). (T. Peppers with M. Anderson, "A Courageous Fool: Marie Deans and Her Struggle Against the Death Penalty," Vanderbilt University Press, 2017). The book can be purchased here. Read a review of "A Courageous Fool" written by former DPIC Director of Research & Special Projects Robin Konrad. A Death Row Memoir by Steve Champion. Champion describes his early life in Los Angeles and the allure for him of the Crips street gang, his incarceration and experience in the U.S. prison system, his life on death row, and his growth and struggle as a human being. He also offers a critical analysis of the prison system, especially capital punishment, and describes how through sustained collaboration with Stanley Tookie Williams and Anthony Ross he evolved on death row from a high school dropout into an accomplished writer and student. (From publisher's description). 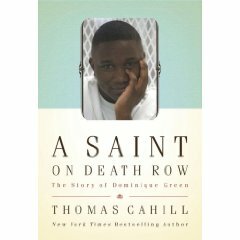 Bestselling author Thomas Cahill has written a new book, “A Saint on Death Row: The Story of Dominique Green,” about his encounter and gradual understanding of the life of a Texas death row inmate named Dominique Green. Green, who was only 18 at the time of his arrest, was executed in 2004. Cahill's story of Green's life highlights issues of race, poverty, and abuse, tracing details of his childhood through his years on death row. Thomas Cahill is probably best known for his New York Times bestseller “How the Irish Saved Civilization.” This newest book will be published by Doubleday and will be released in March 2009. (T. Cahill, “A Saint on Death Row: The Story of Dominique Green,” Doubleday Publishing, 2009). The book can be purchased here. A new book, Lethal Rejection: Stories on Crime and Punishment, edited and written in part by American University criminologist Robert Johnson and student Sonia Tabriz, features an array of fiction and poetry on crime and punishment written by prisoners, academics, and students of criminology. The book includes a number of stories about capital punishment. Jocelyn Pollock, Professor of Criminal Justice at Texas State University, writes in the preface, "[H]umans have always used fiction to instruct, enlighten and communicate. Stories take us to places we haven’t been; they help us to understand people who are not like us. In this book, the authors use fiction to convey the reality of prison.” She describes the book’s poetry, prose and plays as methods to “take the reader into the ‘reality’ of prison and the justice system--not through facts and figures, but through the tears and screams, blood and pain of the people chewed up by it.” Todd Clear, a Professor of Criminal Justice at the John Jay College of Criminal Justice, writes, "The book makes us encounter the lives of the confined in a way I have not experienced in any other book about prison life.” The book can be purchased here. 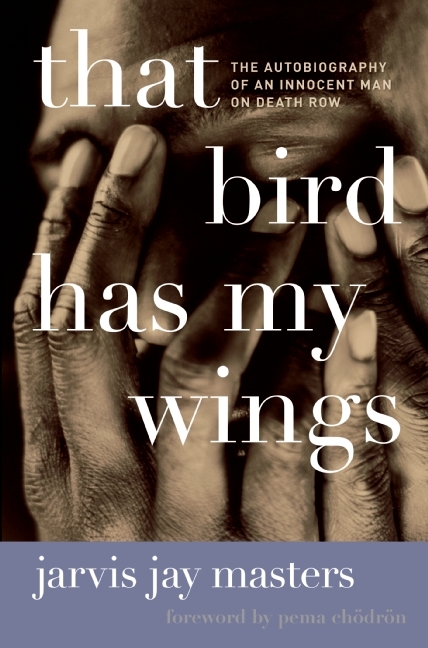 "That Bird Has My Wings" is a new book by Jarvis Jay Masters, an inmate on San Quentin’s death row in California. In this memoir, Masters tells his story from an early life with his heron-addicted mother to an abusive foster home. He describes his escape to the illusory freedom of the streets and through lonely nights spent in bus stations and juvenile homes, and finally to life inside the walls of San Quentin Prison. Using the nub and filler from a ballpoint pen (the only writing instrument allowed him in solitary confinement), Masters chronicles the story of a bright boy who turned to a life of crime, and of a penitent man who embraces Buddhism to find hope. Masters has written this story as a cautionary tale for anyone who might be tempted to follow in his footsteps, and as a plea for understanding about the forgotten members of society. (From publisher's description). (J. Masters, “That Bird Has My Wings: The Autobiography of an Innocent Man on Death Row,” Harper Collins 2009). Renowned death penalty defense attorney Andrea Lyon's forthcoming book, Angel of Death Row: My Life as a Death Penalty Defense Lawyer, chronicles her 30 years of experience representing clients in capital murder cases. In all of the 19 cases where she represented defendants who were found guilty of capital murder, jurors spared her clients’ lives. Lyon, who was featured in the PBS documentary Race to Execution and was called the "angel of death row" by the Chicago Tribune, gives readers an inside look at what motivates her during these difficult cases and offers behind-the-scene glimpses into many dramatic courtroom battles. Lyon is the founder of the Center for Justice in Capital Cases based in Illinois and a professor of law at DePaul University College of Law. The book includes a foreword by Alan Dershowitz, who calls Lyon "a storyteller par excellence." (A. Lyon, Angel of Death Row: My Life as a Death Penalty Defense Lawyer, Kaplan Publishing, 2010). Posted Dec. 11, 2009. The book may be purchased here. See also Books. In Last Words From Death Row: The Walls Unit, Norma Herrera recounts the tribulations she and her family suffered as they worked to free her brother, Leonel, from death row in Texas. The book documents court events and press coverage of the case and captures the family's efforts to assist Leonel prior to his execution in 1993, four months after the U.S. Supreme Court held in Herrera v. Collins that, in the absence of other constitutional violations, new evidence of innocence is no reason for federal courts to order a new trial. Last Words from Death Row reveals that Leonel was a decorated war veteran with post-traumatic stress disorder when he was sentenced to death for the murder of two police officers. He was nearly beaten to death after his arrest for the crime. He was quickly sentenced to death by a jury that largely consisted of local police department employees or those closely associated with them. As they fought to prove their client's innocence, Leonel's appellate attorneys introduced eyewitness evidence that Leonel's brother had actually committed the crime and that local police officials were part of an effort to hide the truth. One of Leonel's attorneys, Robert McGlasson, noted, "Indeed, never in my almost ten years of death penalty practice had I seen such extraordinary evidence demonstrating not just my client's innocence, but the extreme degree of government involvement in deceit and criminal involvement." In her book, Norma Herrera fulfills her brother's final wish before his execution. He asked her to tell his story. He later proclaimed to the witnesses at his execution: "I am innocent, innocent, innocent. I am an innocent man, and something very wrong is taking place tonight." (Nightengale Press, 2007). A new book by Charles D. Flores details his personal experience as an inmate on Texas' death row. The book, Warrior Within: Inside Report on Texas Death Row, provides a first-hand account of Flores' death penalty trial and his experiences awaiting execution. It explores his quest to learn more about the law as he fights to prove his innocence and win his freedom. In the book, Flores writes, "I started to comprehend what it meant to be on death row. I was beginning to understand it was a race against the clock, the most important race, I’d ever run. That understanding came at a terrible price, a price I pay daily. It’s paid in the form of the anxiety attacks that come from nowhere that I have today. It’s paid in nightmares that wake me up in a cold sweat, shaking my head trying to knock the haunting images out of it, nightmares of living my last day on death row, being taken to Huntsville and being put in the holding cell next to the death chamber, drowning on fear, choking on terror, as I wait for them to execute me." The book was edited and published by Flores' friends, Sue and Jim Ulrich, and is available online. (C. Flores, Warrior Within: Inside Report on Texas Death Row, published by Sue and Jim Ulrich, 2007). A first-hand account of Williams' personal journey from co-founding the notorious Crips gang to becoming a reformed prisoner and activist for youth from behind bars on California's death row. The book, which has an epilogue by Barbara Becnel and a foreward by Tavis Smiley, details how Williams became a powerful anti-gang activist during the two decades he spent on death row prior to his December 2005 execution. 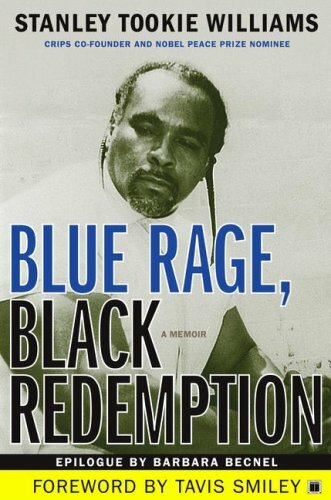 Williams' book openly discusses the life of drugs and violence that led to the formation of the Crips, and then offers an inside look into his personal transformation: "Black Redemption depicts the stages of my redemptive awakening during my more than twenty-three years of imprisonment. . . . I hope it will connect the reader to a deeper awareness of a social epidemic," Williams wrote after finishing the book. (Touchstone Books, 2007). Two new books by American University Criminology Professor Robert Johnson, including one book of satire and a second book of short stories co-authored with prisoner Victor Hassine and criminologist Ania Dobrzanska, address life in prison and on death row in the United States. Johnson's first book of satire, Justice Follies, offers a collection of parodies that seek to highlight a host of problems within the American prison system. "This book made me laugh out loud. It is outrageous... and the most outrageous thing about it is its ring of truth," notes Todd Clear, a Professor at John Jay College of Criminal Justice at the City University in New York. (Willo Trees Press, 2005). The Crying Wall, a work by Johnson, Hassine and Dobrzanska, is a collection of short stories that offer readers a look inside the workings of correctional facilities and the realities of day-to-day living in prison. The book's fifteen fictional pieces capture the emotions of those who are incarcerated. (Willo Trees Press, 2005). See Willo Trees Press. See also, Books. Features correspondence between Agnes Vadas and Richard Nields, who is on death row in Ohio. The book contains letters exchanged between the two over six years. They discuss a wide range of topics, including life on death row, how they have coped with challenges in life, and the lessons they have learned from hardship. Agnes Vadas is a musician and human rights activist from Washington. (AuthorHouse, 2005). See Books. A collection of fifteen essays that deal with life on Texas' death row from a prisoner's perspective. The essays describe many aspects of death row life: the pain of losing friends through execution, the medical treatment of prisoners, the monotony of living in a tiny cell, and the interaction with guards. 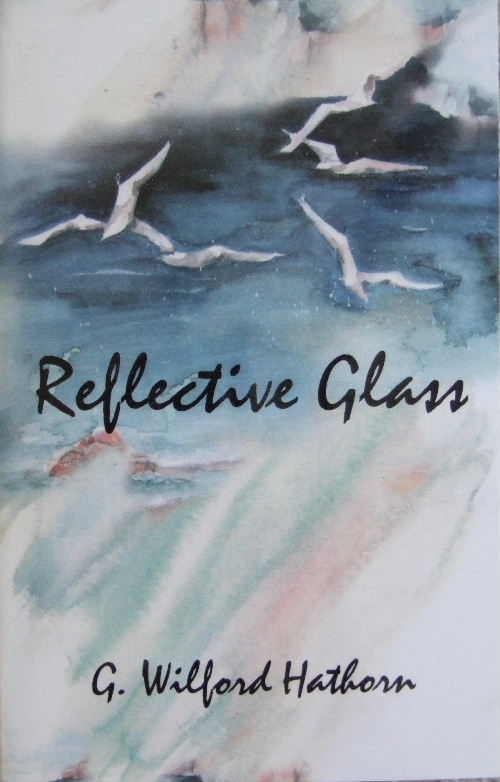 Reflective Glass can be ordered from Maria Augusteijn, PO Box 7982, Colorado Springs, CO 80933-7982. She can be reached at [email protected]. King, of the ACLU's Capital Punishment Project, focuses her book on the impact that the death penalty has on the families of those who have been condemned to die. King, who also wrote Don't Kill in Our Names: Families of Murder Victims Speak Out Against the Death Penalty, describes these individuals as the unseen victims of capital punishment and highlights the experience of having loved ones on death row using personal accounts and a moving narrative voice. King notes that because their pain tends to attract less attention and empathy than the hurt of crime victims' families, many family members of the condemned suffer alone. Though the book uses the stories of the condemned to depict the flaws in the judicial system, its clearest message is that tragic events have tragic consequences that reach far beyond their immediate victims. (Rutgers University Press, 2005). Junkin recounts the events that led first to the conviction and death sentence, and then to the freeing of Kirk Bloodsworth for the murder of a nine-year-old girl in Maryland. Sister Helen Prejean, author of Dead Man Walking describes the book as "Chilling, heartbreaking, and ultimately inspiring." Scott Turow says: "Bloodsworth is a tale of courage and determination in the face of the law's worst nightmare--the execution of an innocent man." Senator Patrick Leahy calls Bloodsworth "a powerful indictment of the a death penalty system that is fundamentally broken." (Algonquin Books, 2004). See Innocence. In his book Still Surviving, Nanon Williams (pictured right), who was 17 at the time of the crime that placed him on death row, provides a first hand account of living under a sentence of death in Texas. The book details Williams's journey from teenage boy to adulthood while living in the shadow of the nation's busiest execution chamber. His text introduces readers to the experiences of solitary confinement and having friends executed, as well as to maintaining relationships with those on the other side of the prison gate. 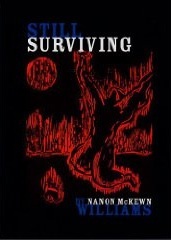 (Breakout Publishing Co., 2003) Read more about Nanon Williams. See Juveniles. The Execution of a Serial Killer: One Man's Experience Witnessing the Death Penalty by Dr. Joseph Diaz, Ph.D.
Frontiers of Justice, Vol. 1: The Death Penalty by Claudia Whitman and Julie Zimmerman, eds. 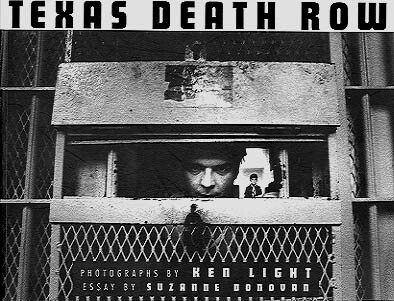 Texas Death Row, is a new book of documentary photography by Ken Light which chronicles the life of Death Row prisoners in Huntsville, Texas where they are awaiting execution. Texas leads the nation in executions with 92 having taken place since the reinstatement of the death penalty in 1976. The 128 page book can be obtained by calling the toll free order number at 1-800-737-7788, by faxing a request to 601-982-6217. Two editions are being published by the University Press of Mississippi; the cloth edition is $50 and the paperback edition is $30. An order can also be placed by email at the address of:[email protected].